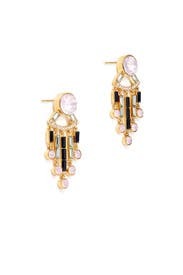 Add an elegant accent to your look with these pink-accented kate spade new york accessories earrings. Gold plated statement fringe earrings with crystal accents and an iridescent top stone. Post backs for pierced ears. 2" long. Received these earrings as the 'surprise bling' with a dress I ordered. They looked great; not something I would usually choose for myself. I did find that they were pretty loud whenever I turned my head. They are heavy and I thought the posts seemed a bit short, I was worried they might fall out but they didn't. More dangly than i expected but still beaitiful! This earrings were much larger than I expected. Also, they looked very costumey. I passed and went with a pair of real diamond studs instead. This came as my mystery bling item. While they were cute, they in no way matched the dress I ordered. They are smaller than I prefer and look very evening wear. Loves them! Would definitely rent again. I rented these for my best friends rehearsal dinner and they were lovely! Look just like the picture. 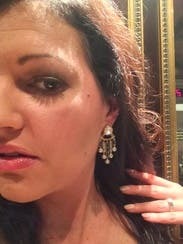 I rented this earring to go with my dress that I also rented from RTR and it was a perfect match. The earrings were light enough so I didn't even know that I had them on, yet heavy enough that they didn't feel cheap. I wanted to keep them! Perfect compliment to any formal gown. Loved them! These were larger than they looked on the model in the photo, but very pretty and I wore them anyway. This gorgeous pair added sparkle and interest to a little black dress without looking gaudy or making me feel weighed down. I rented these to pair with a Herve Lerger bodycon dress for an date night out with my husband. We were staying at an old fabulously historic hotel in Galveston, TX called the Galvez. 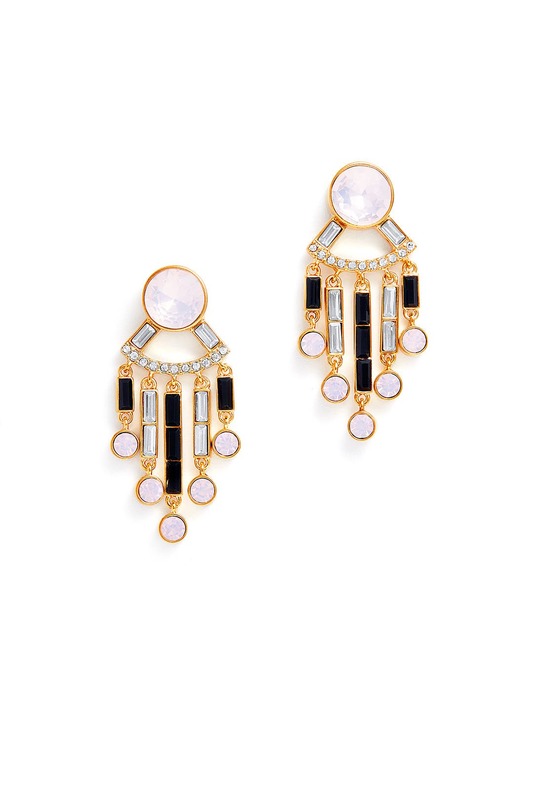 I thought the art deco look of the earrings paired well with our surroundings, and they went perfect with the Herve. 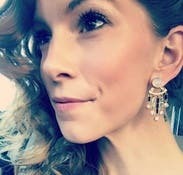 The earrings felt solid and secure to me, but I would be cautious to those who are looking to wear them while dancing or a more strenuous activity. These are gorgeous, but just be prepared they are a bit heavy! These are a little more pastel/pale than they look in the picture. They also jangled a lot which was a little annoying for the professional event I was attending. However they are fun, gorgeous, and clearly high quality. They worked well for a kind of mod vibe and would also work well for a 20's/Great Gatsby theme. 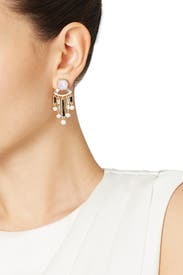 These earrings are beautiful. Cool, art deco style and not too heavy. Worn with matching Clink of Ice necklace. These earrings were such a fun addition to the LBD I ordered. The colors were beautiful and the size was just right. 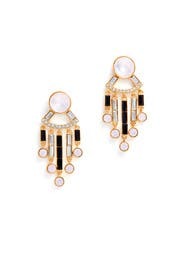 So looking at the photos online, it looks like these earrings are black, white, silver and gold.... nope! Actually, the parts that look white and silver are pastel pink and blue. Not what I wanted. They ended up not going with the outfit I got them for, so I never wore them. Sad, because they are nice. Just not what I was looking for.